This hotel was built in 2002 and completely renewed in 2016. 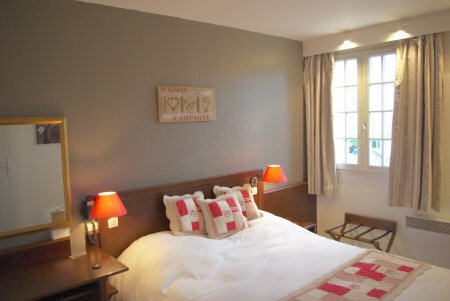 Conveniently located not far from the exit of the highway to Paris and Normandy coast, it is situated 14 km from Monet's gardens in Giverny, 40 minutes from Paris and 1 hour from the beaches. private bathroom with bath and shower, hair dryer, separated WC. The Restaurant is open every evening for a fine dinner around the the fireplace that brings you comfort and conviviality. The Bar-Restaurant invites you to relax with a drink or a snack all day long. The TV area is popular to share special events and sport events. 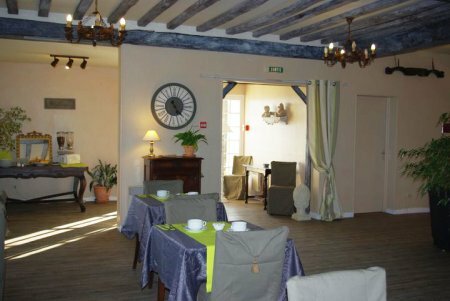 Buffet breakfasts includes scrambled eggs, saussages, cereals, sweet breads and buns, cook pork meats and delicatessen, fresh fruits and juices. Breakfast is served from 6:30 to 9:30 on week days and from 7:30 to 11:00 on week-ends. Breakfasts can also be served in rooms on request. The Hotel Nympheas has an easy access from Highway A13 and National Roas N13. It is only a 40 minutes road ride from Paris (Porte de St Cloud). 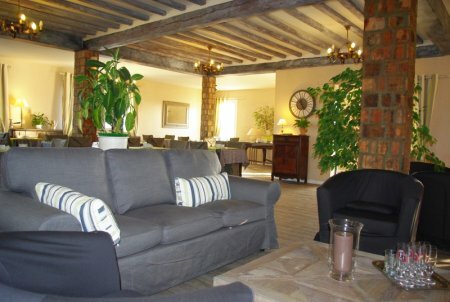 The Hotel Nympheas has a wide private free of charge secured Car Park as well as a certified heliport.